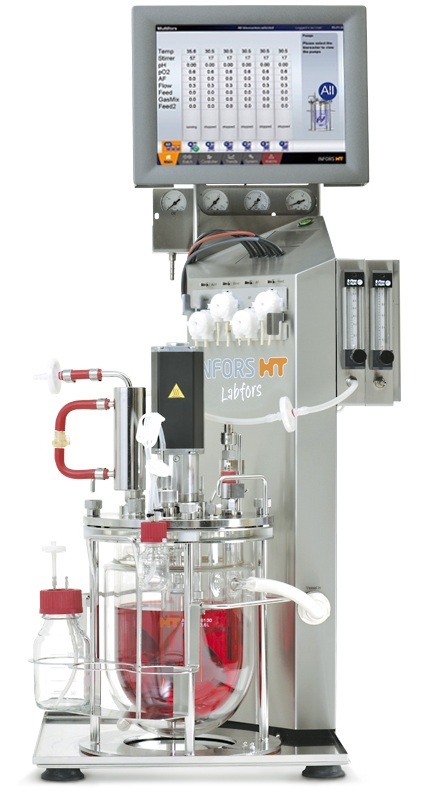 The Labfors 5 Cell is an easy to handle, flexible and and upgradeable benchtop bioreactor for volumes from 0.5 L up to 10 L.
The Labfors 5 Cell is assembled with applications in mind and has an extensive list of choices and options to optimize for a specific microbial fermentation and cultivation strategy. For example, a single use vessel option adds flexibility. Culture in batch, fed batch, and continuous modes are possible. 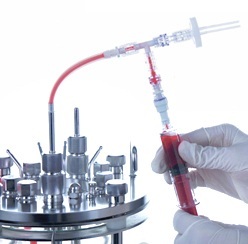 Primarily used for Mammalian cells, Insect cells, Viruses or Vaccines and Cultures from 0.5 to 10 L. Applications include high density cultures for protein production, process development, process optimization, scale up, scale down, statistical studies, process analytical technology (PAT), growth studies, anaerobic cultures, Halophile strains and brewing research. 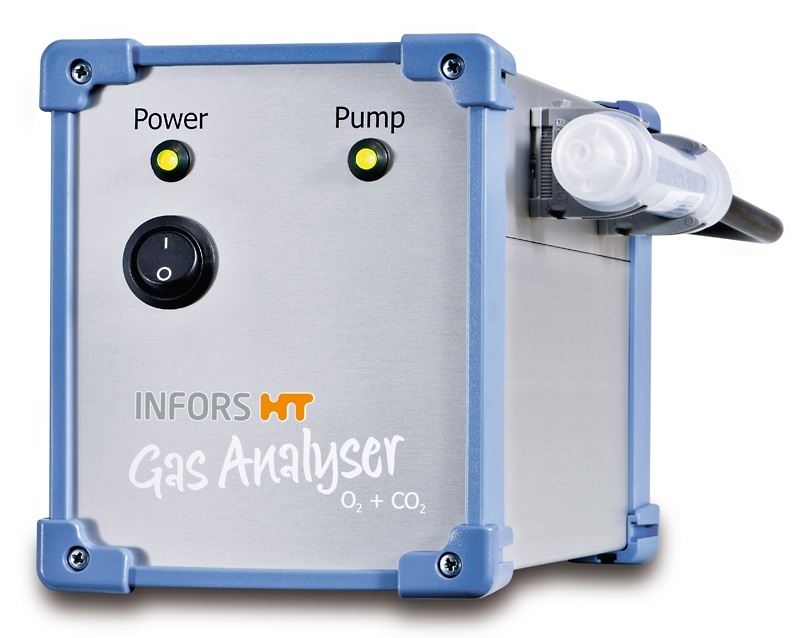 Precise control or monitoring of temperature, stirrer speed, pH, p2, antifoam/level, feed, gas mix, gas flow, with 16 other channels free, for each vessel. 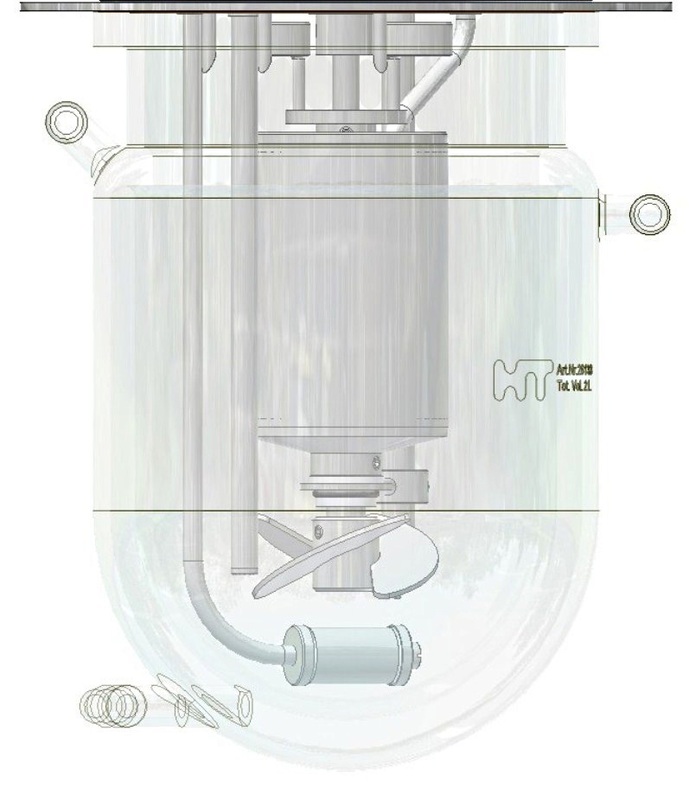 The design and construction of the vessels, with no welded parts, make the Labfors 5 Cell ideal for GMP applications. 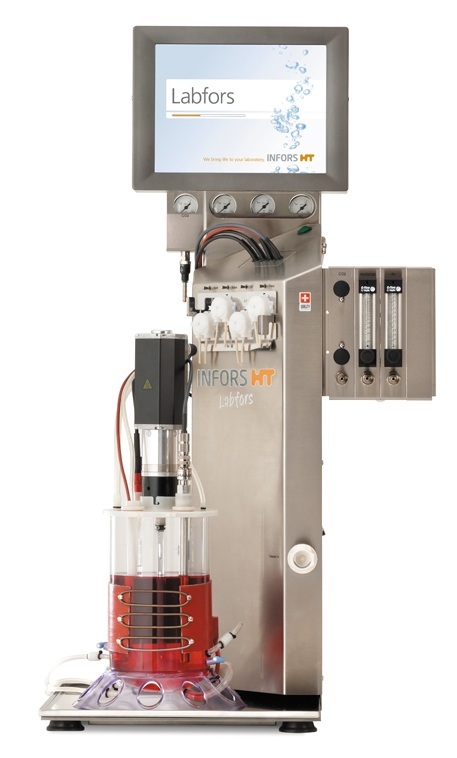 Four high precision pumps per vessel are included for feed, acid, base and antifoam/level/harvest, ready for applications such as fed batch or continuous culture.